Home Blog Thirukkural Why Should I Read Thirukkural ? Why Should I Read Thirukkural ? It is because I born in Tamilnadu as a Tamilan I should read it; if anyone has this intension then you could be wrong. Before getting into Thirukkural I would like to share a very important message to you all. There’s a chamber build in Russia with a standing capacity of any natural or artificial disaster , this chamber is build in the intension to protect world’s most important epic by different cultural for example Kuran, Bagavathgeetha, Bible etc . I am proud to inform that Russian’s have kept Thirukkural one among those book’s. They say’s this chamber will help our up-coming generation to know about our cultural values. Before reading Thirukkural everyone should know what this holy book is made up of and for what this is created and who created this and how efficient this works anyone’s personal and public life, And how Thirukkural can bring changes in any person life after in taking the essence of it. 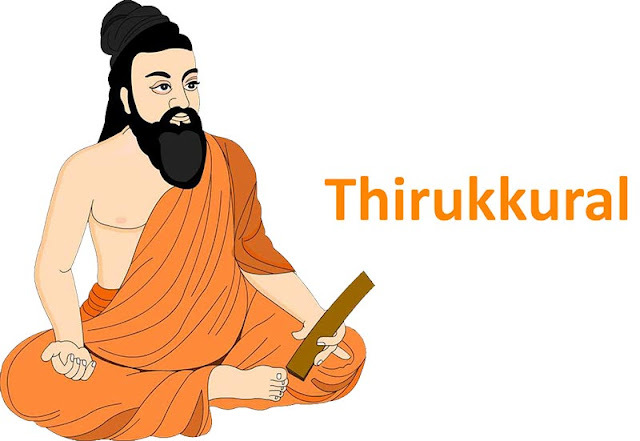 The author of Thirukkural is great Tiruvalluvar, It is still remains a big question on the exact date of Thirukkural but it is older than 2000 years it is believed that Thirukkural was written between 200 BC to 500 AD. this couplet’s teaches human-beings that how to be good in personal and public life. Thirukkural is a collection of knowledge which consists of 1330 couplets and it is mainly divided into three sections they are “Aram” which means “Righteousness” “Porul” which means “wealth” and “Inbam” which means “Pleasure”. This three main section consist of 133 chapters and each chapter contains 10 couplets in all it makes 1330 couplets. These couplets consist of seven cirs and these seven cirs is place in such an order four on the first line and the rest three on the second line. Now what this cir is? A cir is a Combination of two words. Aram consists of 380 couplets in four different topics they are “The praise of god”, “Domestic virtue”, “Ascetic virtue” and “Destiny”. These 380 couplets will help a person to develop good qualities like being good with humanity, respecting the creator, knowing about the wealth of land and animals. Porul consist of 700 verses in two different topics they are “Royalty” and “State cabinet”. This 700 couplets deal with how a kingdom should be designed. Any person who wants to rule a country in a right path he or she can get good hint from this couplets not only that even we can learn administrative techniques which will benefit all. Inbam consist of 150 verses in two different topics they are “On secret marriage” and “Chaste wedded love”. These 150 couplets explains us how to lead a happy and lovable family life. 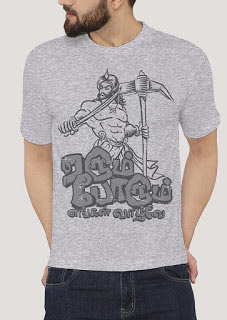 Thirukkural is a vast ocean; this ocean is full of wisdom and knowledge to enjoy this wisdom and knowledge from this ocean one should know to swim, swimming here refers to the knowledge of Tamil language. Why any reader needs to know language tamil for in-taking Thirukkural as if Thirukkural is translated in 37 different languages across world. It is because the whole verses is written in Tamil and to get perfect knowledge about Thirukkural one should learn it in its own language. Thirukkural really a awesome creation by great Thiruvalluvar this collection of couplets has information related to all what happens in any individuals life from his child hood to till his death. how we can relate Thirukkural in our own life it is so simple, as i told you that there are 133 topics available related with all human nature and it is a magic that how a single man can think on 133 different topics and created 1330 verses with seven cirs in each couplet. till now there is no work has overstepped Thiruvalluvar's great work called "THIRUKKURAL"